Most people kick back on Friday nights and either watch television or hit the town. Not me. Sadly, I stayed up this past Friday night into the wee hours of Saturday morning playing with a phone from 2010. I spent three hours fiddling with my Nexus One handset and before going to sleep, I had Android(s goog) 4.4.2, or KitKat, running on the very first Nexus device. Why even bother? Great question! Part of it is just to see how the newest Android software runs on what’s now a four-year old device. I also had something else in mind. I’ve wanted to keep an eye on Mozilla’s Firefox OS — the company is adding tablet support for it — but I’m not sure I need to drop the $80 or so for a dedicated Firefox OS phone. I figured perhaps I can repurpose the Nexus One as a Firefox OS device but before doing that I thought to reacquaint myself with the Nexus One and some new software. 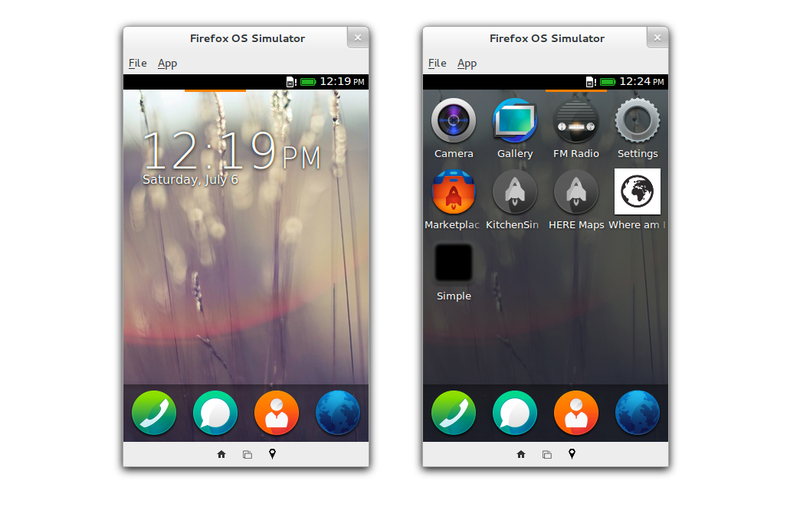 Of course, I could run the Firefox OS Simulator on a computer to meet my needs, but where’s the fun in that? I’ve installed dozens of custom ROM software on the Nexus One as well as many other Android devices, but this was a particular challenge. First, there’s no official KitKat support from Google for the Nexus One. That ended with Android 2.3.4 (Gingerbread) about two years ago. Second, to fit KitKat on an older device with a limited amount of ROM, I had to repartition the internal memory to give the operating system more space. I found that out the hard way when trying to flash Android 4.4.2 on the device. While the software works — it looks and behaves just like any other phone running Android 4.4.2, it’s asking a lot from the Nexus One hardware. Tapping from app to app can produce small lags as the hardware tries to catch up with what the software is asking it to do. That’s not terribly surprising, but the fact that it can even run the newest version of Android is a testament to the versatility of the very first Nexus handset. I’ll likely play around with some other recent ROMs to see if they run any better on the Nexus One. It could create a nice backup phone — I can pop the SIM from my Moto X in there, for example — in an emergency. And the effort will help re-educate me in how install custom software; something I’ve gotten away from recently due to how well the Moto X serves as an Android phone. Next up, my hope is to either find a Firefox OS build or try to port one myself, which could give the versatile Nexus One a whole new look and feel while also seeing how well the Mozilla folks are progressing on their latest mobile project. Meanwhile, I’ll start looking for less geeky things to do on a Friday night! Hmmm, my Nexus one is in it’s original box on a shelf. I still think it is the best looking and feeling Nexus phone to date. I have not held the N5, but these days I have grown tired of the glass slab look and the same old OS. I too have done the same with Texas Ice’s build and they still have a rare nightly and regular builds. I guess going forward phones should go the PC way with ability to upgrade hardware and that way we may not need a new phone for long. I still love and trust the Nexus One. Lost count of the number of flashes I have done on this and it still keeps marching on. 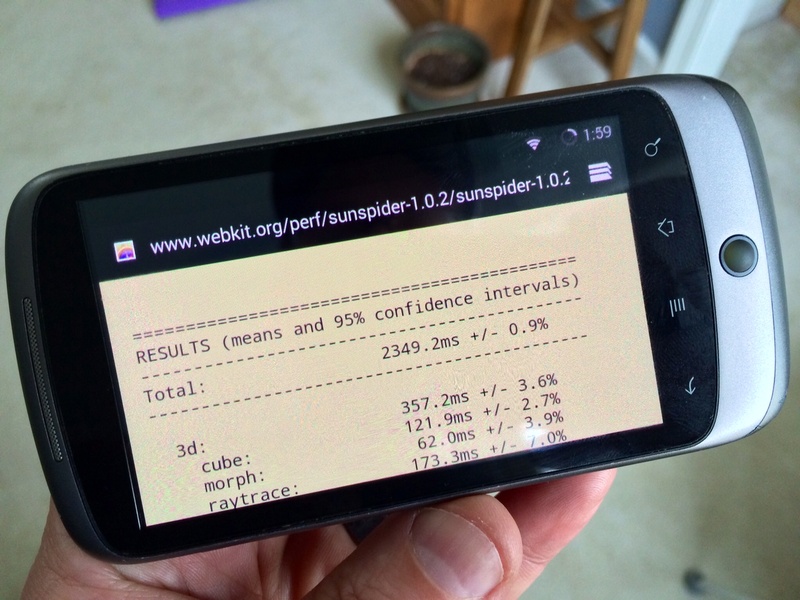 It’s not that surprising, the minimal specs for android 4.4 is 512mb of ram | ARMv7 CPU and a gpu that supports OpenGL ES 2.0. 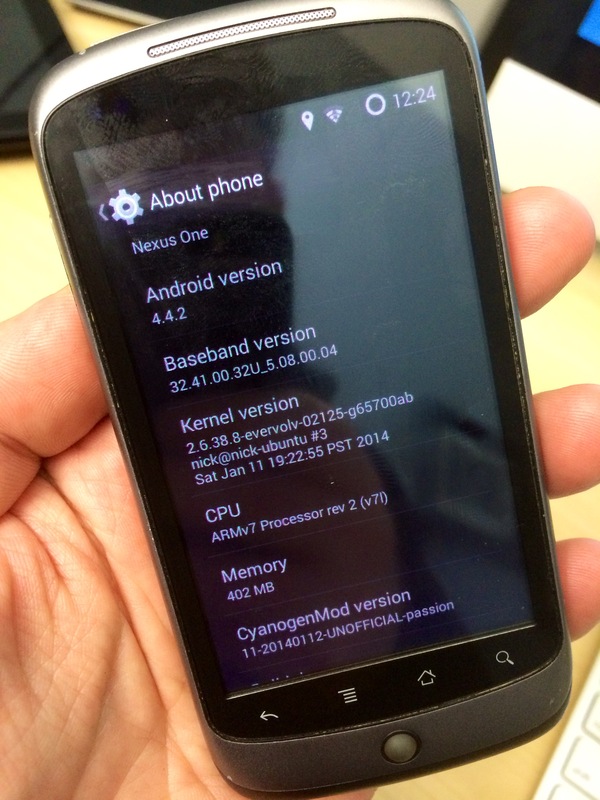 The nexus one meets all of those requirements so it’s no surprise that that kitkat runs on the device. Hardware requirements rarely move up because hardware OEM balk at the price increases. I have CentOS 6.0 running on a old old laptop with 256mb of ram :?